Projections can be difficult things because they are heavily dependent on playing time. But here are five Twins projections players should be able to beat their for 2019, according to RandBall. *As part of the Star Tribune’s ongoing Twins preview week, the team’s depth chart was published Tuesday along with projections from FanGraphs on how each player is expected to perform this season. 1) Marwin Gonzalez, 60 RBI: Gonzalez is a switch-hitter who can play just about every position. He’ll start the year at third base while Miguel Sano heals, and you can imagine him easily playing 150 games at a bunch of spots. Topping 60 RBI should be a breeze. 2) Jose Berrios, 12 wins and 4.28 ERA: Berrios was a deserving All-Star last season. He made a big jump in innings and strikeouts. This year he makes another leap as a No. 1 guy, moving into that 15-18 win range and keeping the ERA below 3.50. 3) Jake Cave, 5 home runs: In a perfect world, Cave won’t have to play a lot. But he shouldn’t have to play much to top five homers after blasting 13 of them a year ago. 4) Jake Odorizzi, 4.98 ERA: Odorizzi can be frustrating to watch as he labors through five innings, but he has a career ERA of 3.95 — better than Berrios, Kyle Gibson, Michael Pineda or Martin Perez, the other four Twins starters. 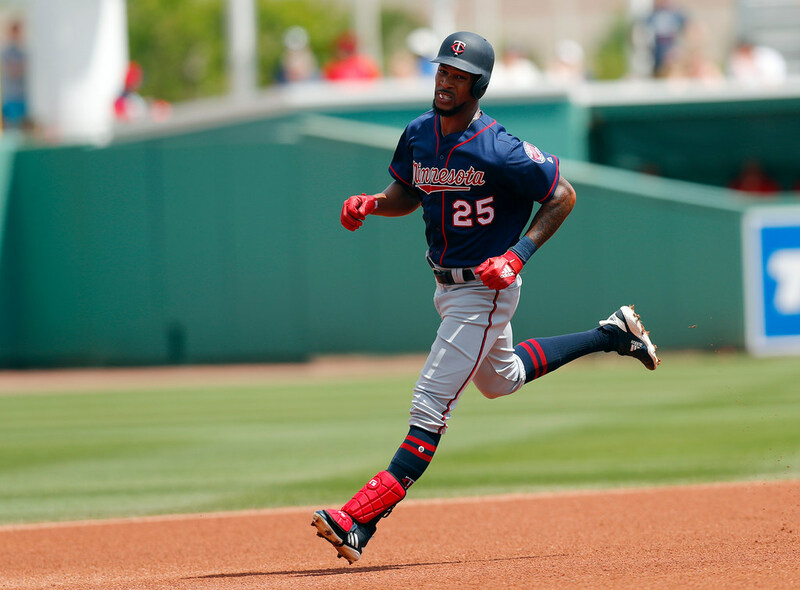 5) Byron Buxton, .244 batting average: I’ll take a leap of faith here that Buxton will turn a corner. If he does, hitting better than .244 shouldn’t be an issue. *Kris Humphries, the former Hopkins standout and Big Ten Freshman of the Year with the Gophers in 2004, officially announced his retirement from the NBA in a long essay on The Players’ Tribune. Humphries hasn’t played in the NBA since 2016-17, the last of 13 seasons spent with eight different teams. His narrative weaves through a very interesting life story: from youth swimming champion to cocky young basketball player to a grinder who made it a long time in the league (and who famously married a Kardashian along the way). *Marlene Stollings’ Texas Tech women’s basketball squad went 14-17 in her first season after leaving the Gophers. That is a seven-win improvement over the previous season, but it appears the roster will also look quite different next season as the program recently announced four players will not be returning to the team.